We made the David Robinson designed chandelier for this La Jolla home. 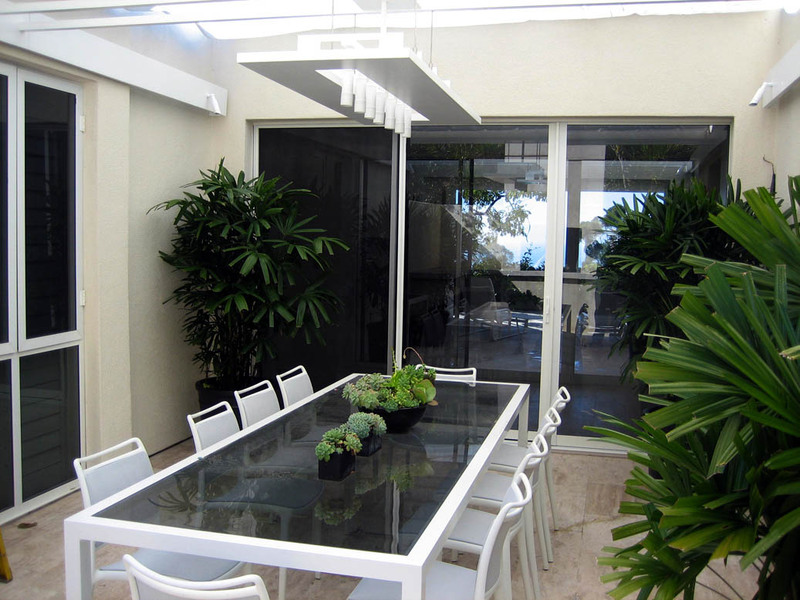 The biggest part of this job was designing and suspending this feature in the center of the large patio table. 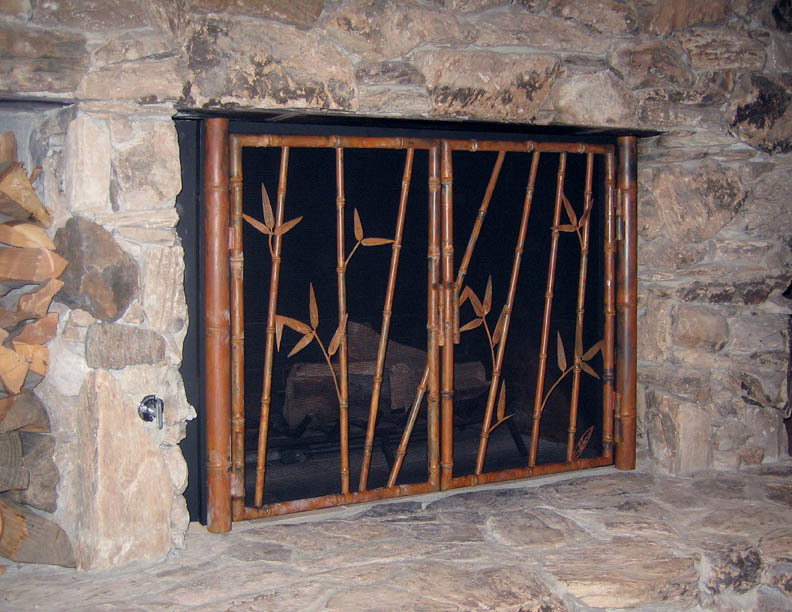 This Polynesian themed Rancho Santa Fe home has several bamboo elements throughout the home. This pattern was taken from a slump glass partition on the facing wall. 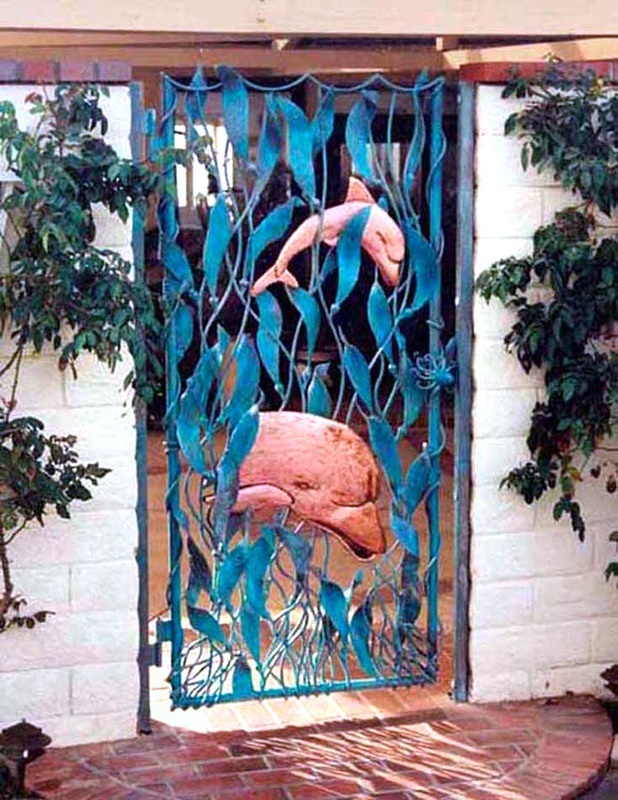 The owner likes dolphins and let me design this gate with the copper repousse dolphins swimming through the kelp. 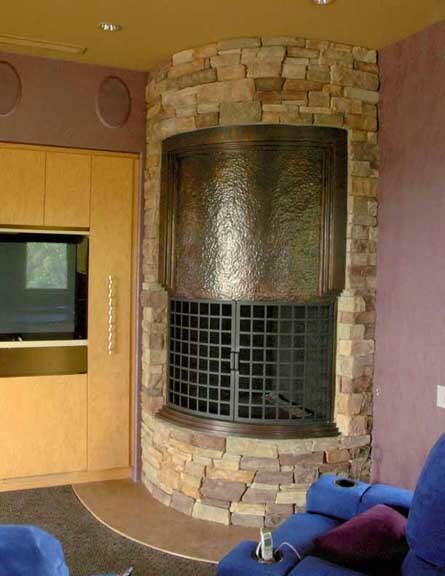 The original design had this fireplace as a 2 sided corner unit. The Feng Shui consultant told the client that the projecting corner was not good Feng Shui and made it round. The owners of this small Solana Beach front home like to entertain and the coffee table is perfect for most occasions. 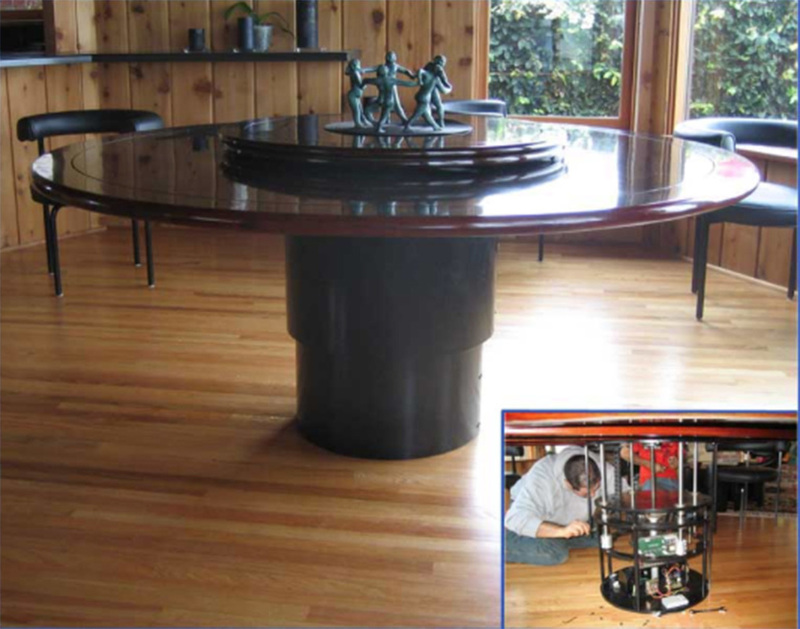 This table had a lot of challenges besides the obvious. 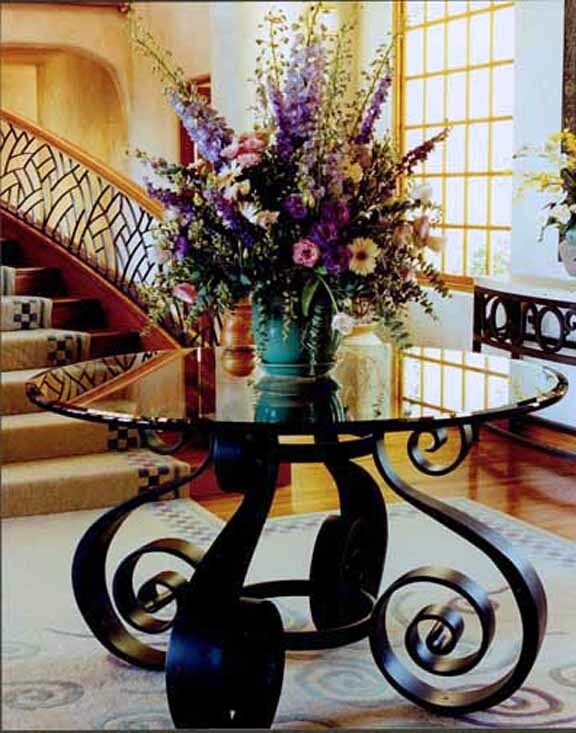 I had finished the railing in this Rancho Santa Fe home and the clients were having a hard time finding a table for the foyer that was proportionate to the room. They asked me to design a table for them.